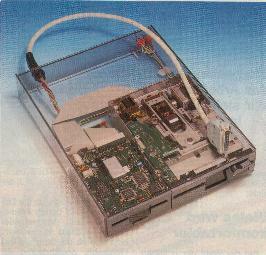 An external double floppy drive for the Amiga which contains a 3.5" drive and a 5.25" drive within the same physical unit. The 3.5" drive was an NEC unit, whilst the 5.25" drive was TEAC. The unit does not have a pass-through however each drive can be enabled or disabled independantly.